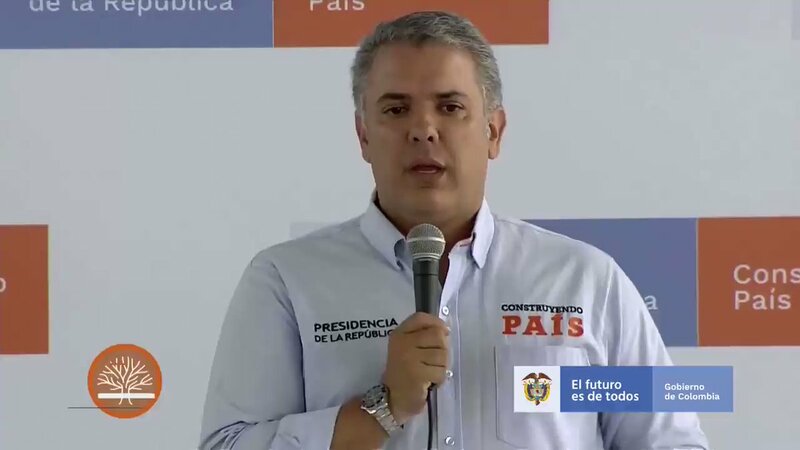 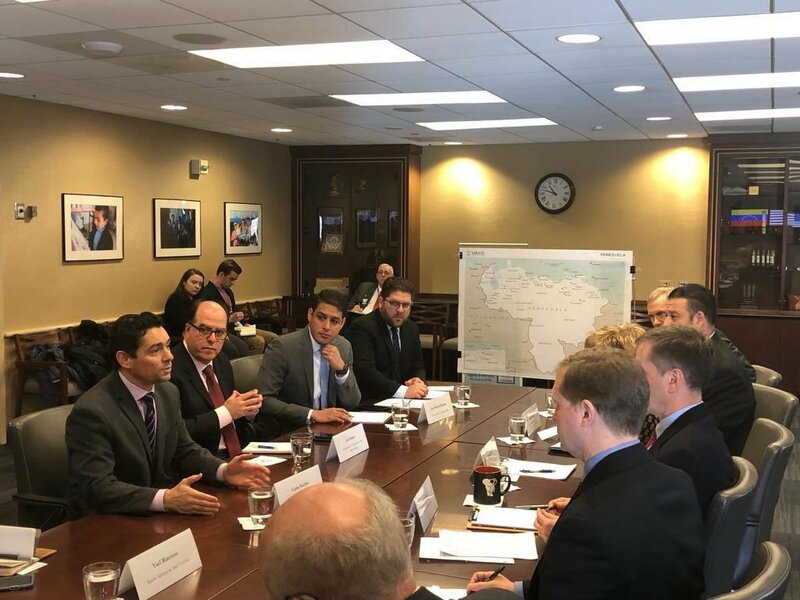 Colombian President Ivan Duque: A few minutes ago I confirmed to the interim President @jguaido that Cúcuta will be one of the three centers for the collection of humanitarian aid for Venezuela. 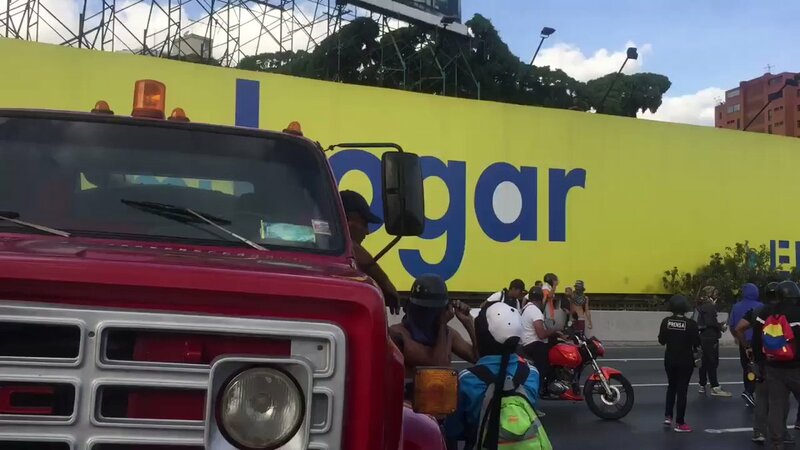 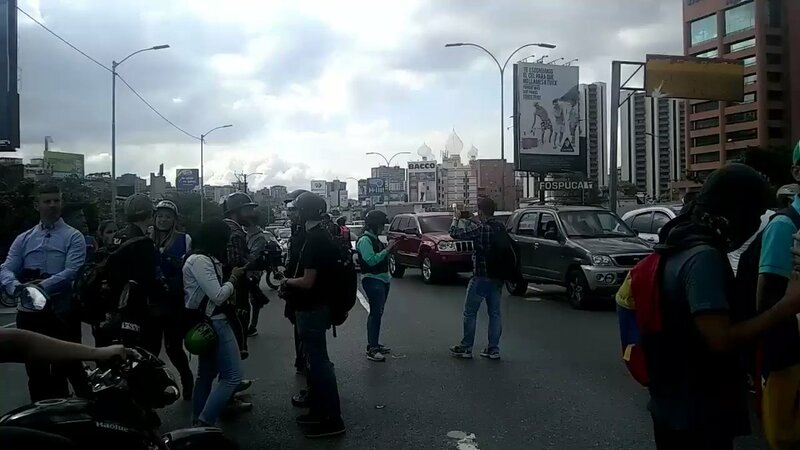 Officials of the National Guard approach protesters who participated in the call to support @jguaido on the Francisco Fajardo highway near Las Mercedes. 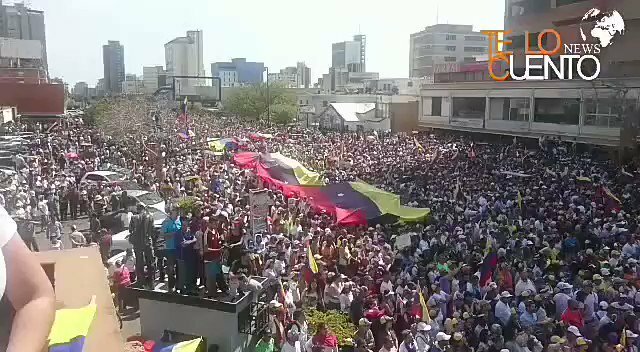 Venezuela Zulia Massive demonstration this Saturday in Maracaibo in rejection of Maduro and in support of the proposals of Juan Guaidó. 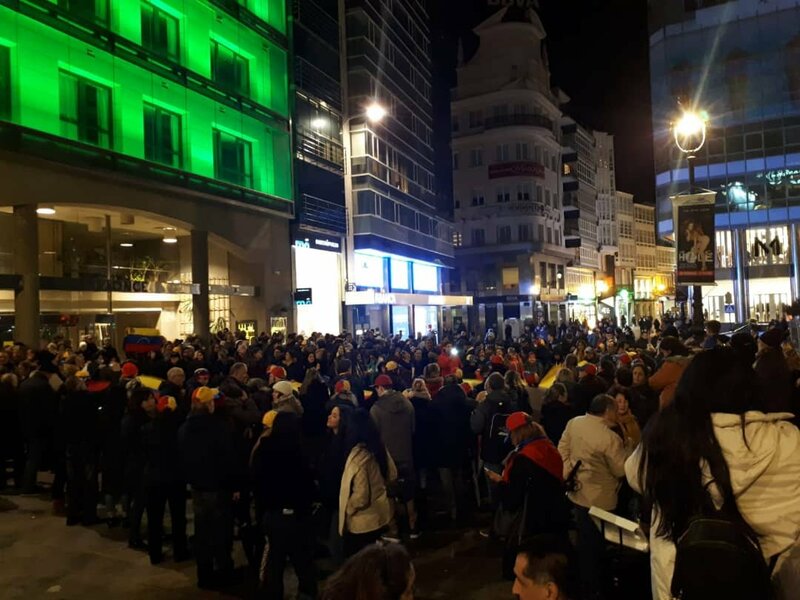 Venezuelans are gathered in LaCoruña, Spain, in support of @jguaido. 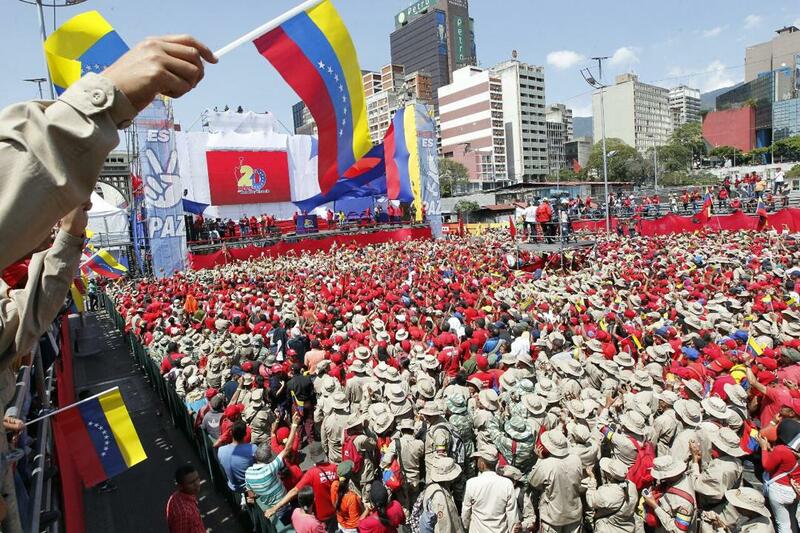 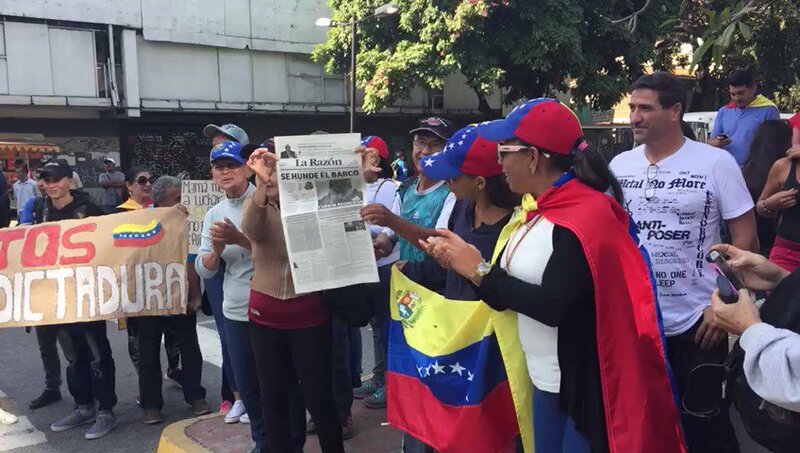 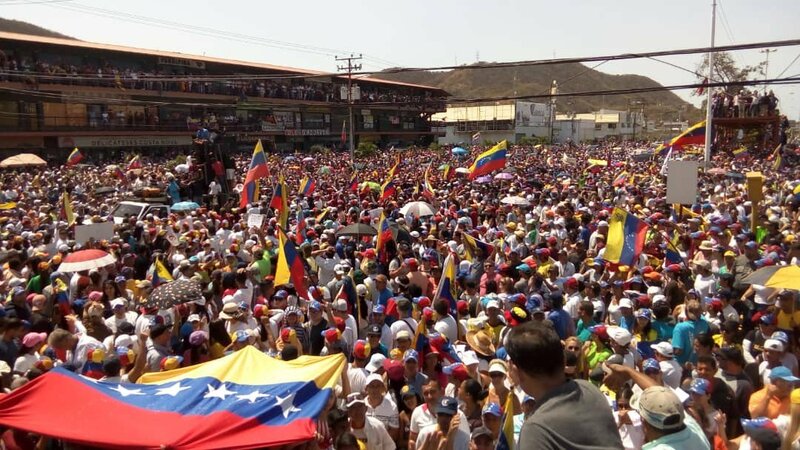 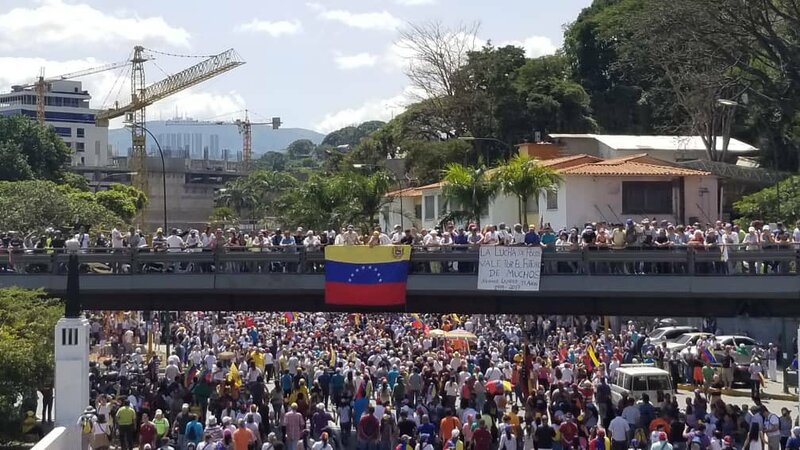 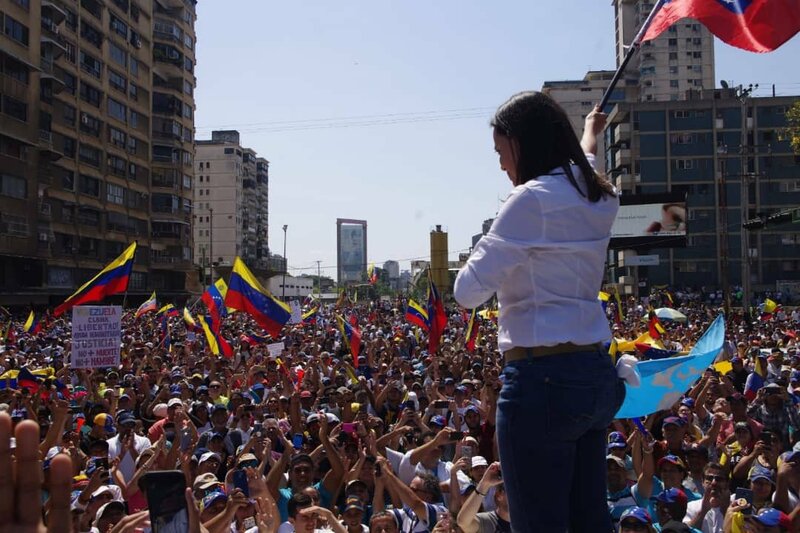 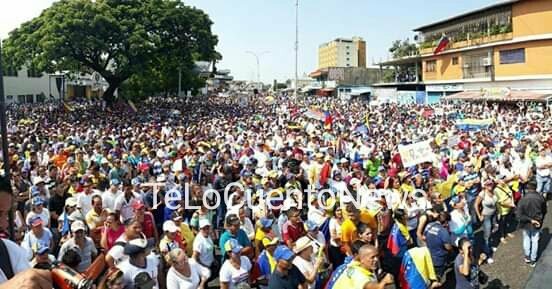 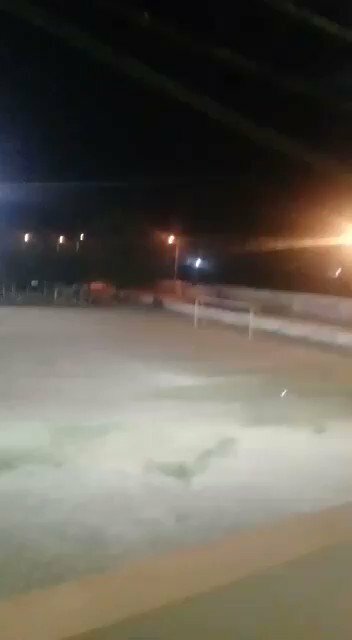 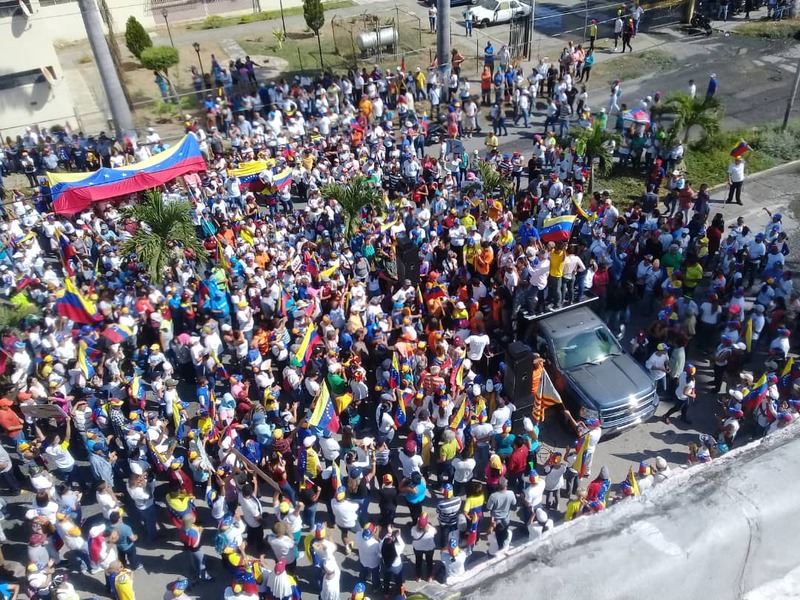 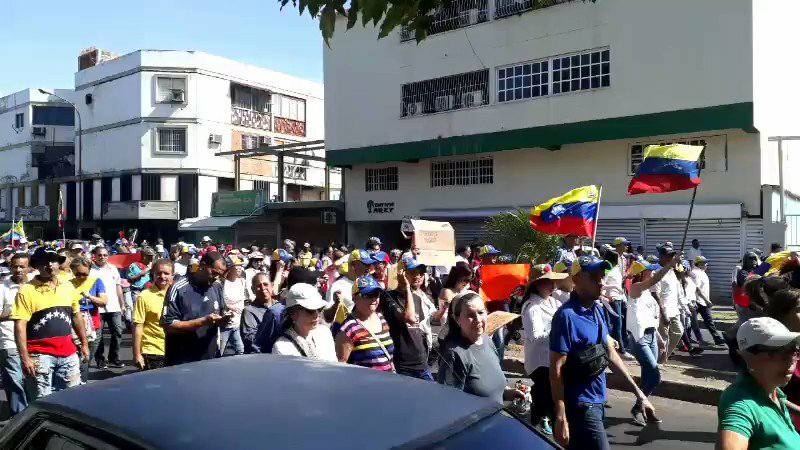 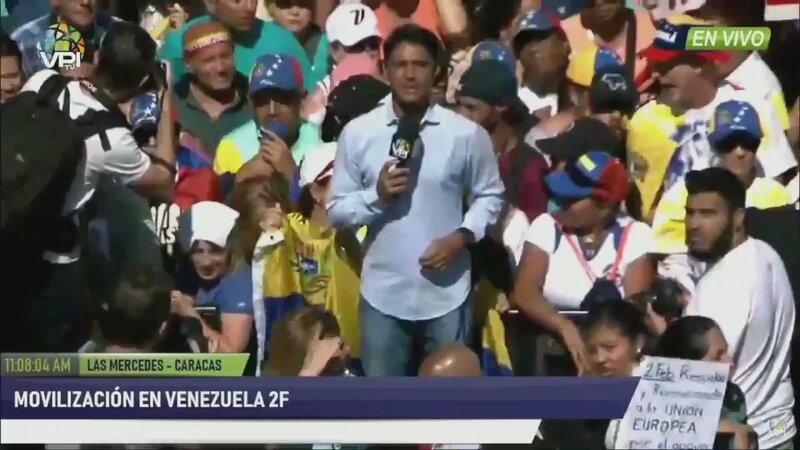 Venezuela: In Barinas the citizens responded again to the call of Juan Guaidó. 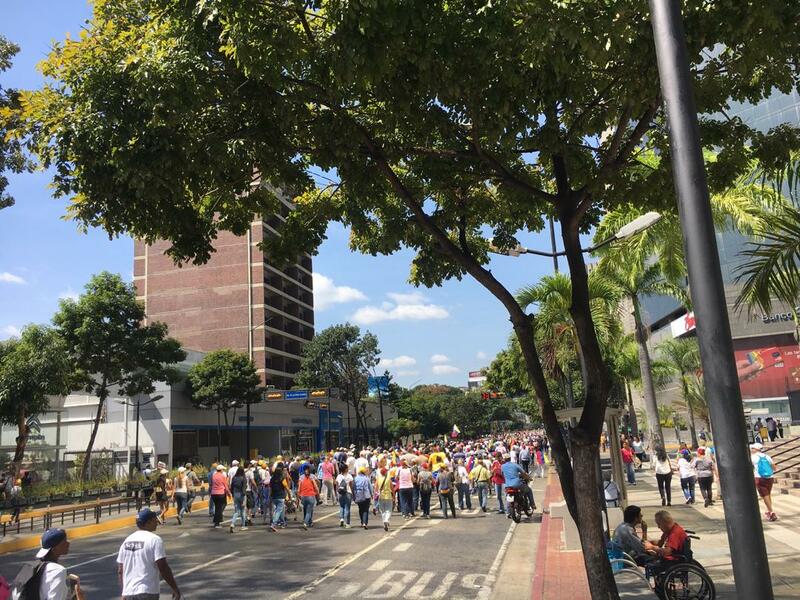 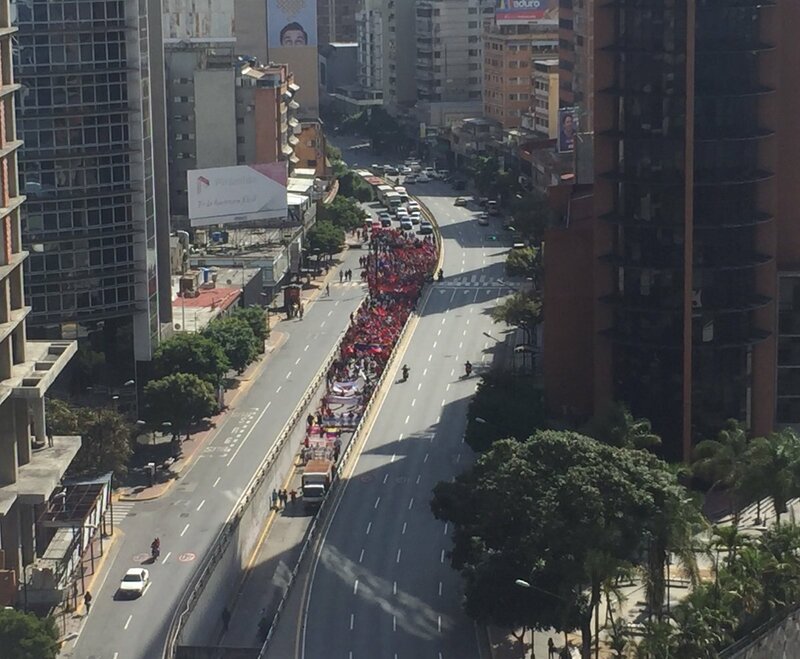 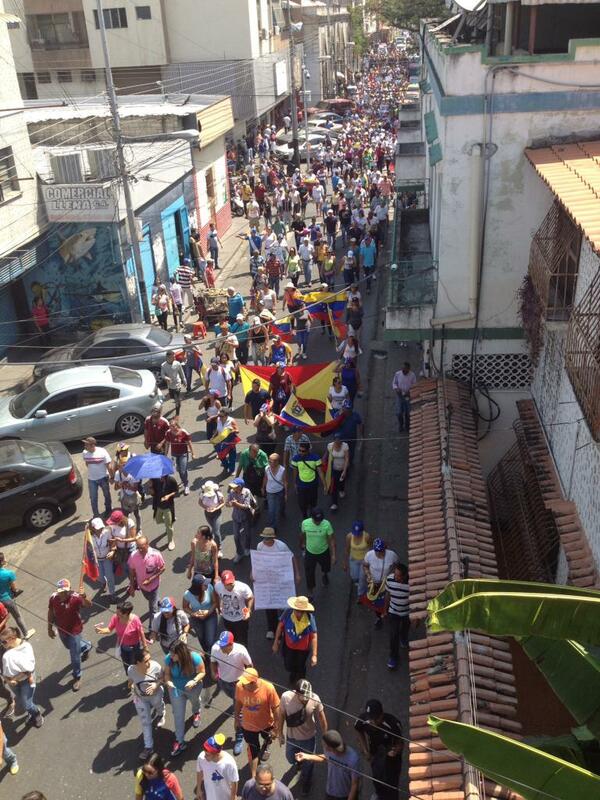 From six points of the city they marched to 23 de Enero Avenue. 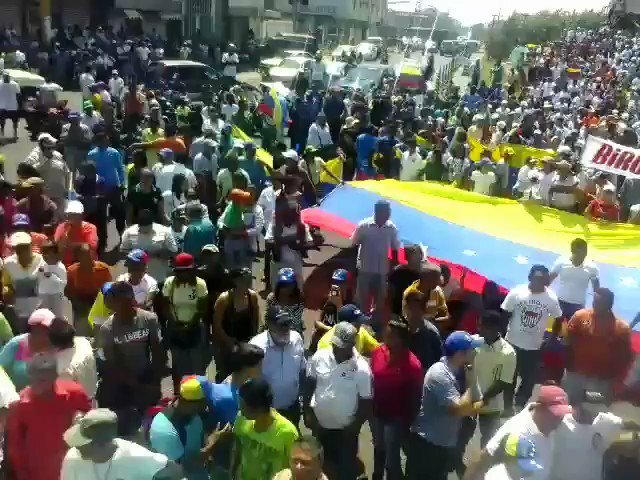 They demanded humanitarian channel and free elections. 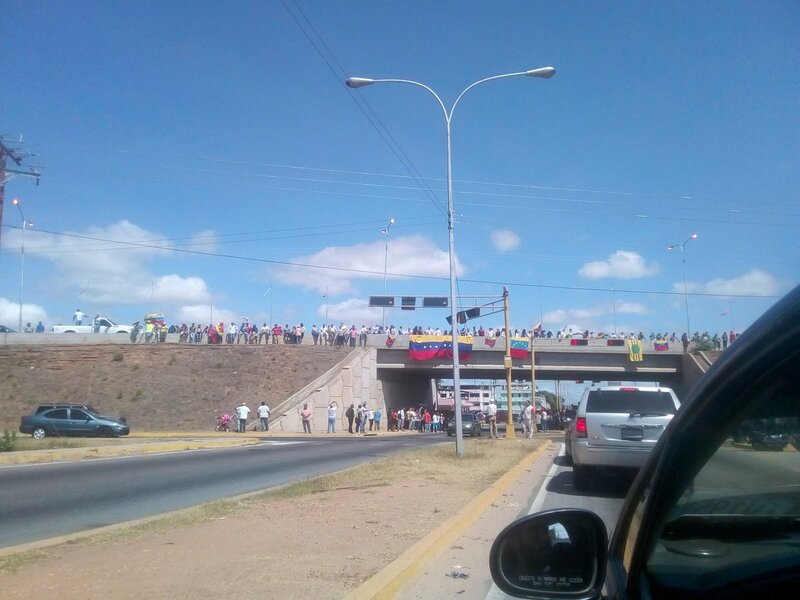 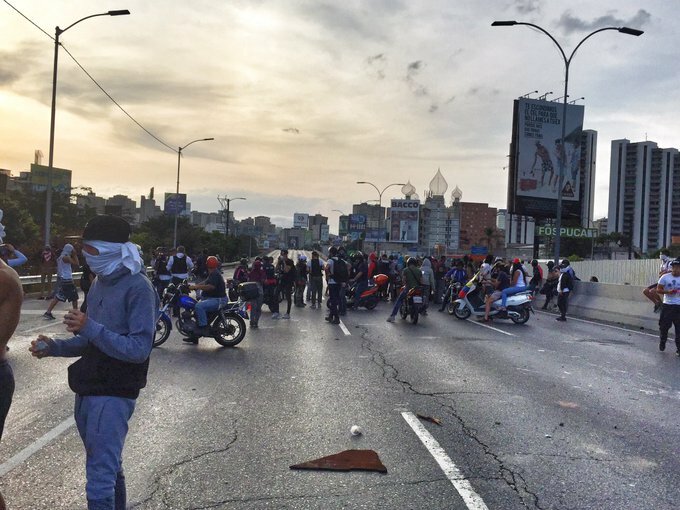 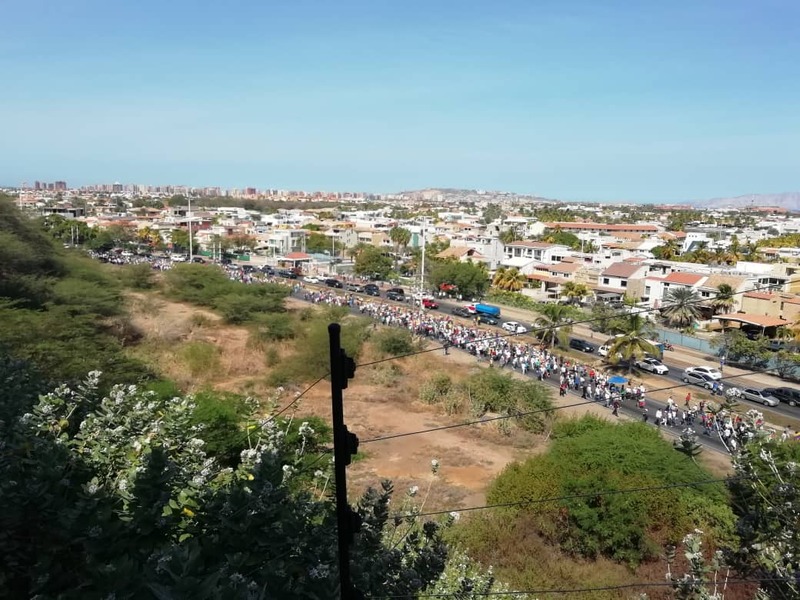 Protesters are gathered in the Francisco Fajardo highway. 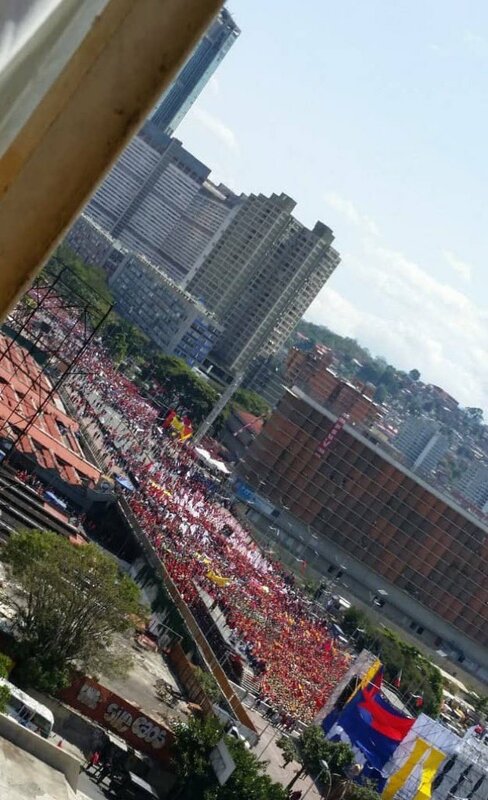 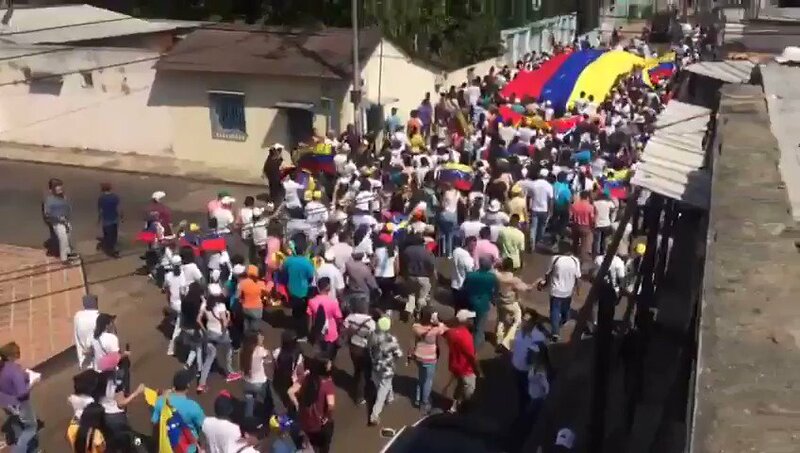 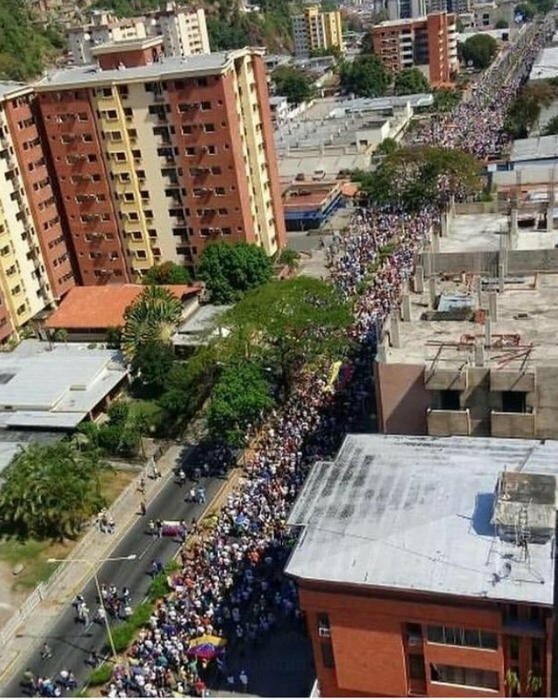 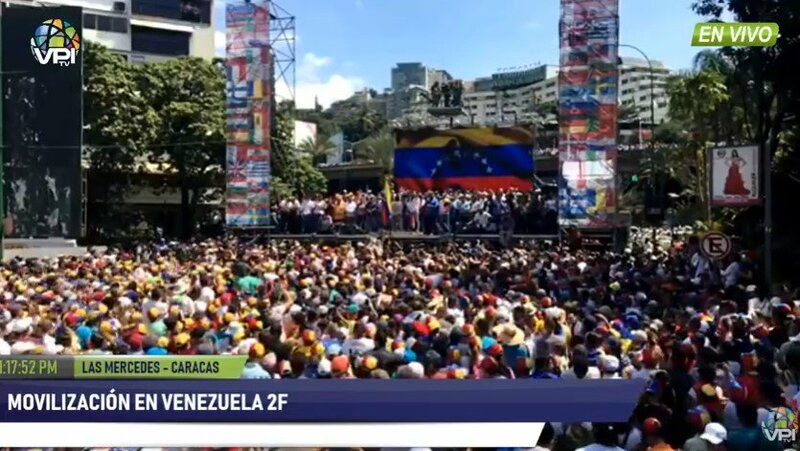 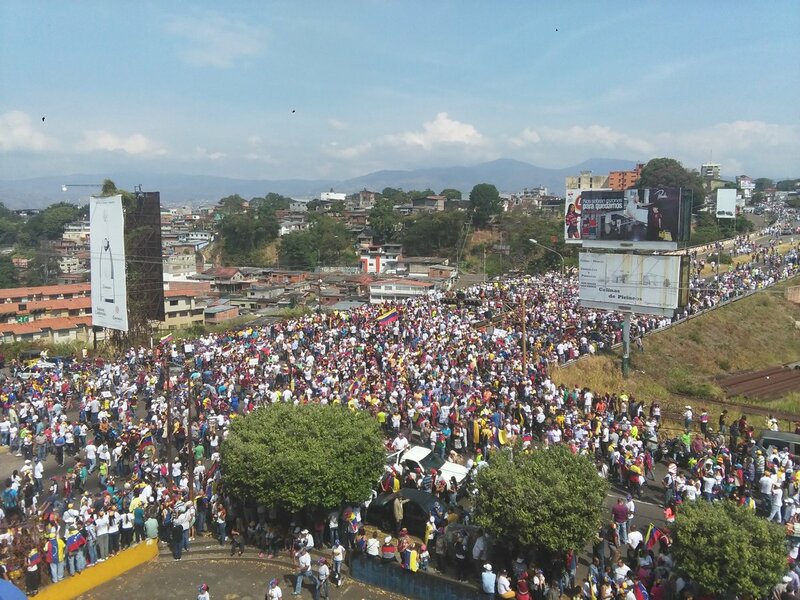 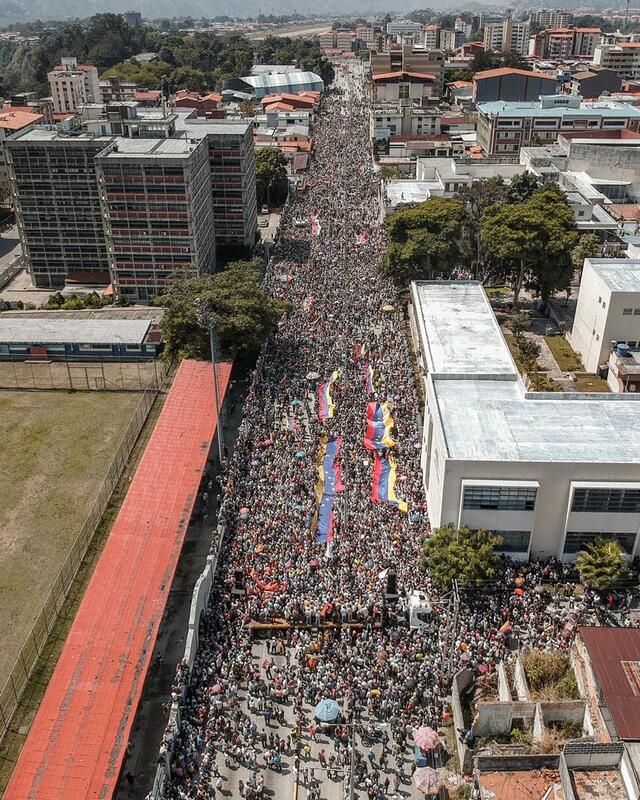 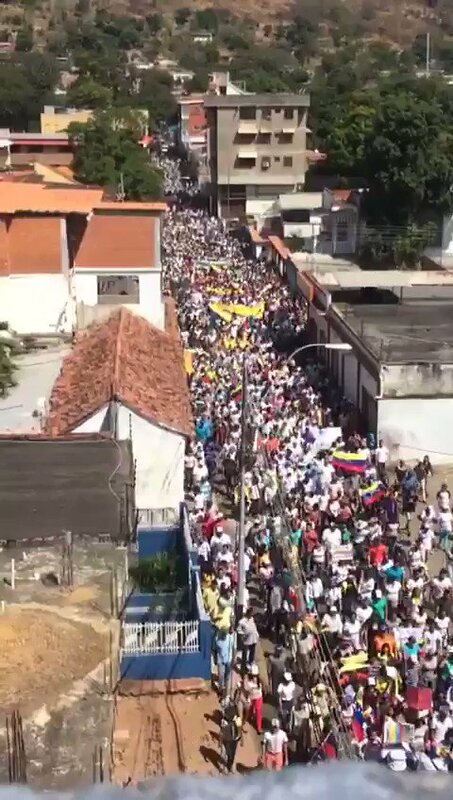 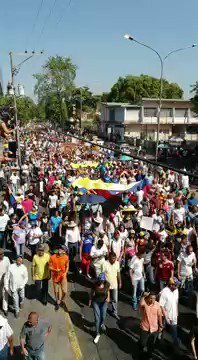 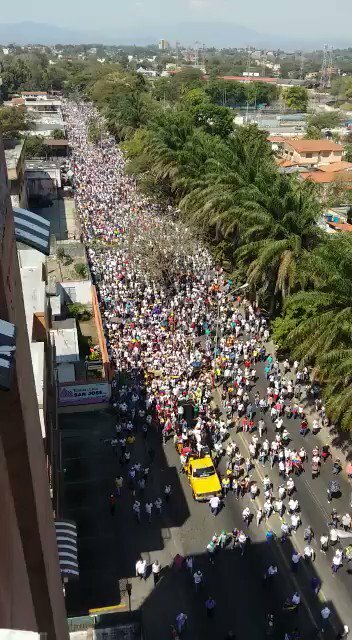 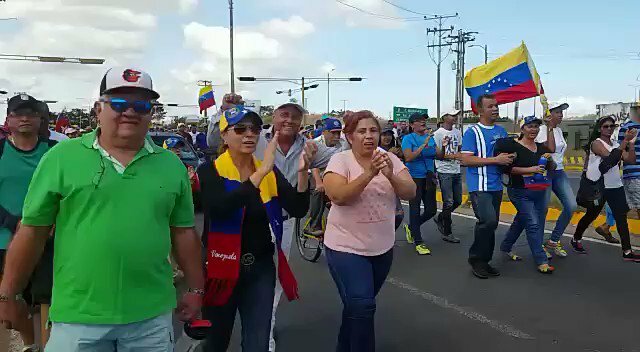 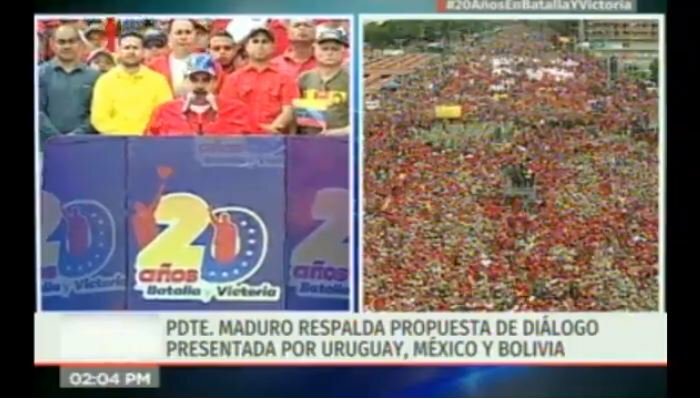 Venezuela: very large turnout for the anti-Maduro march in the town of San Carlos (Cojedes state). 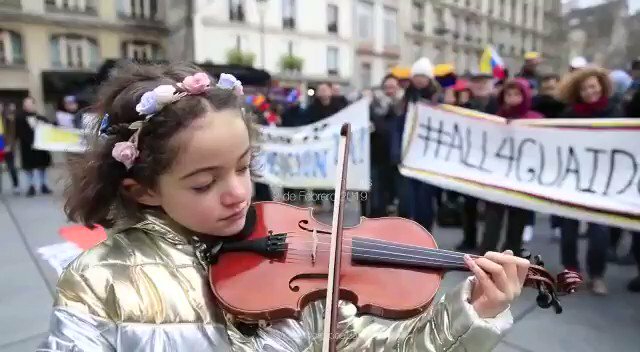 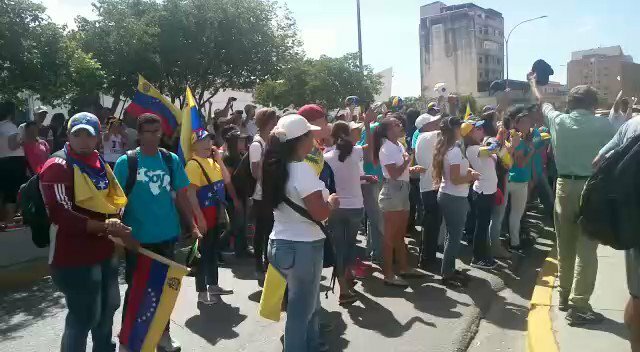 Venezuela: Protesters sing the National Anthem in front of the picket line of the National Guard in Juan Griego, Nueva Esparta state. 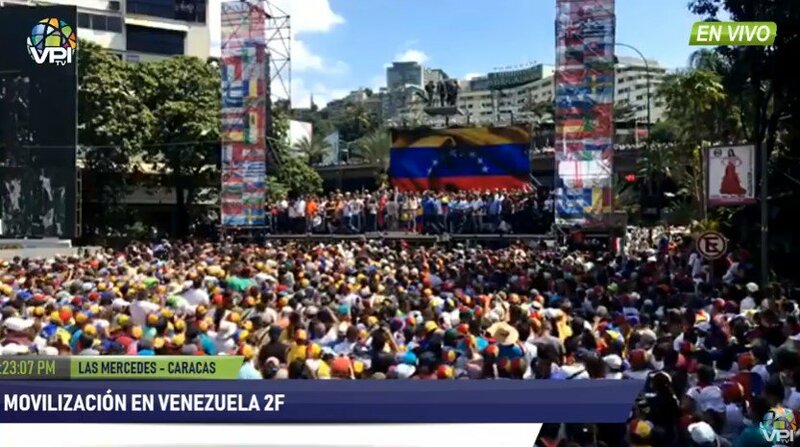 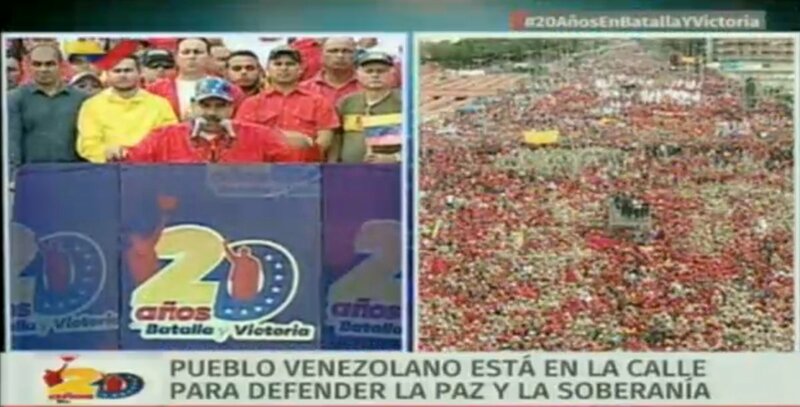 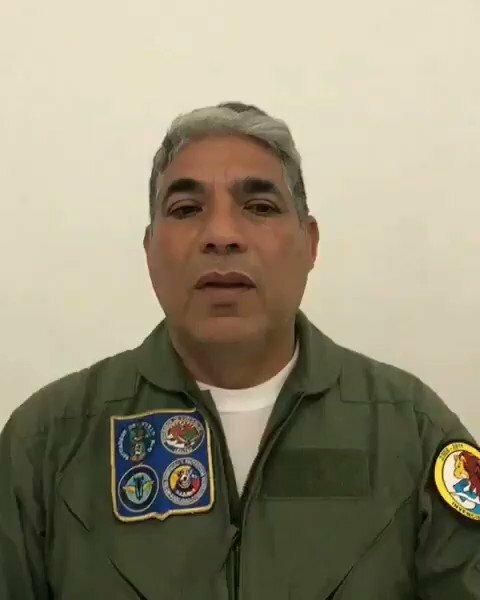 Maduro: "We are a pacifist people but we are a warrior people, the American Empire threatens us every day"
Maduro on @realDonaldTrump "they have deceived him, @VP, @SecPompeo and @AmbJohnBolton are three war monks who are obsessed with Venezuela, and you who believe the emperor of the world believes that Venezuela is going to surrender: VENEZUELA does not surrender"
PHOTOS: rally convened by the Maduro on Avenue Bolivar de Caracas. 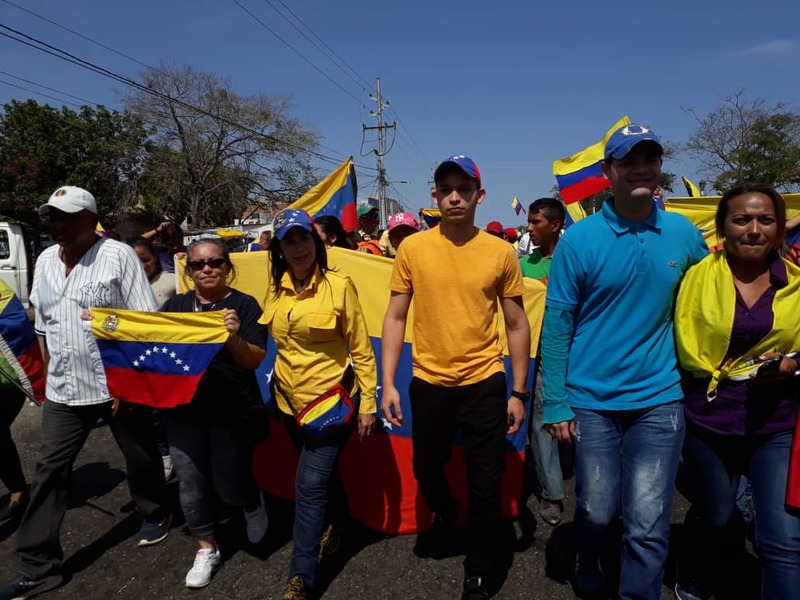 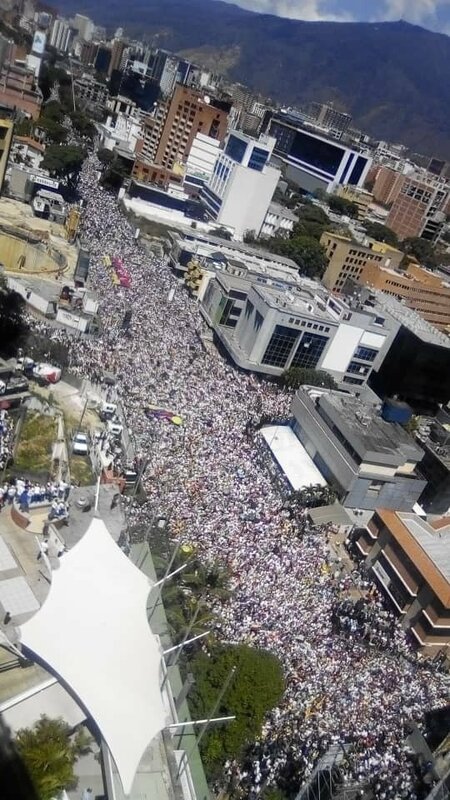 March on Inter-communal Avenue Barcelona-Puerto La Cruz in support of the Acting President @jguaido. 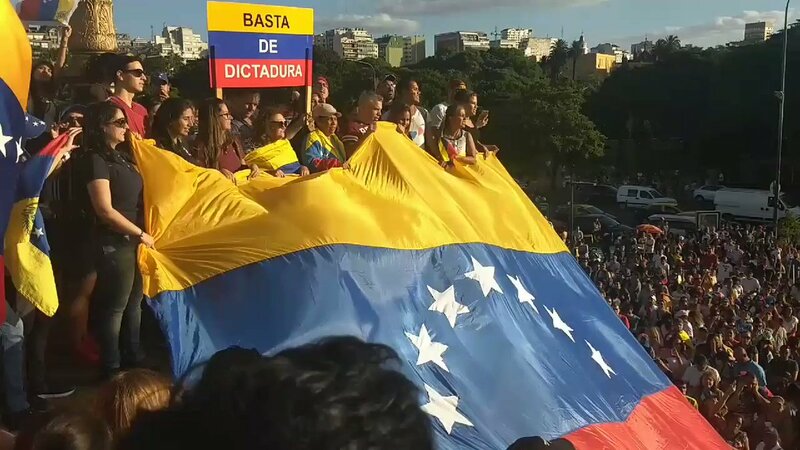 Acting President of the Venezuela, Juan Guaidó (@jguaido): "It is clear that Maduro is absolutely alone"
Acting President @jguaido: Soldier, the time has come, it is time to speak for the Constitution, for humanitarian aid and for the change of the country for your family. 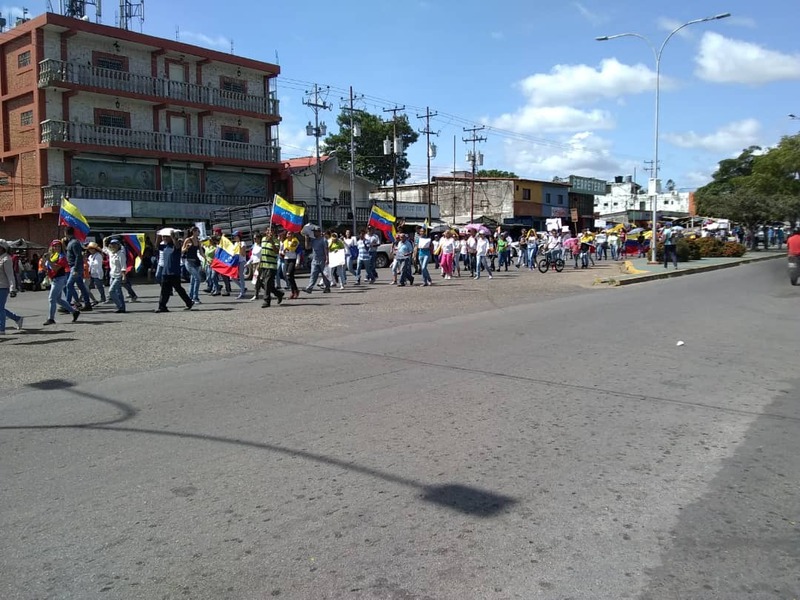 Today's march organized by the FAVL in the city of Turmero, crossing the entire center of the city. 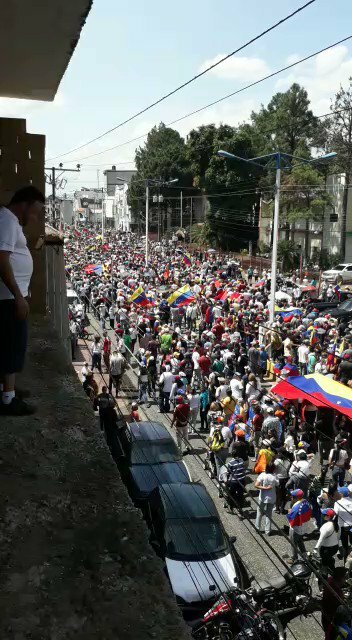 The People are also mobilized and protested here. 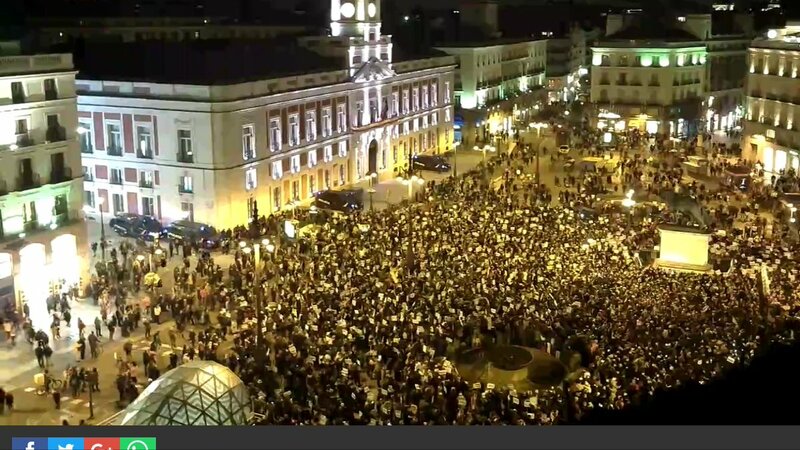 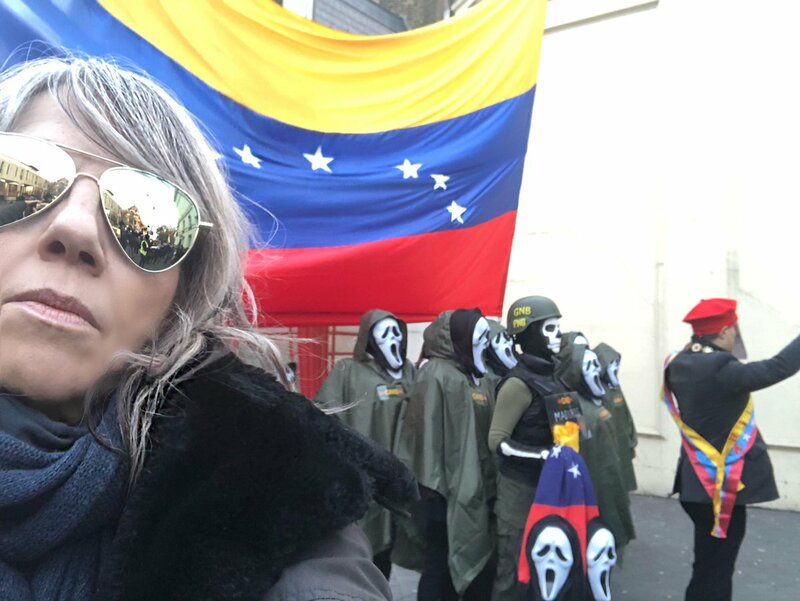 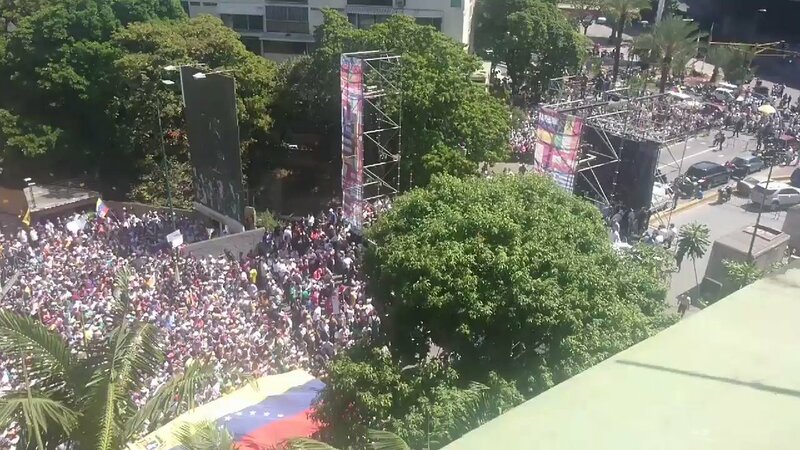 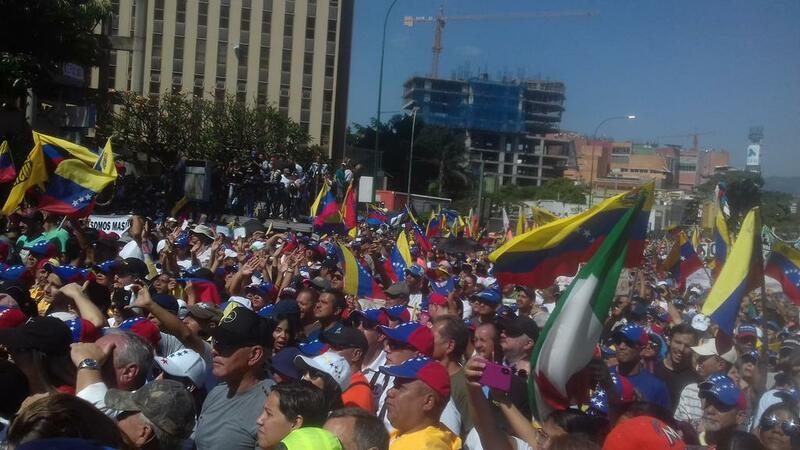 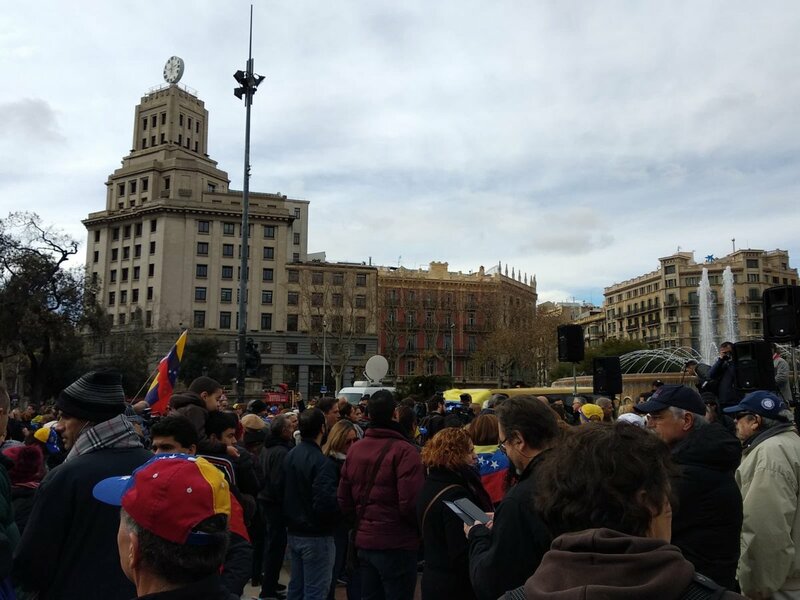 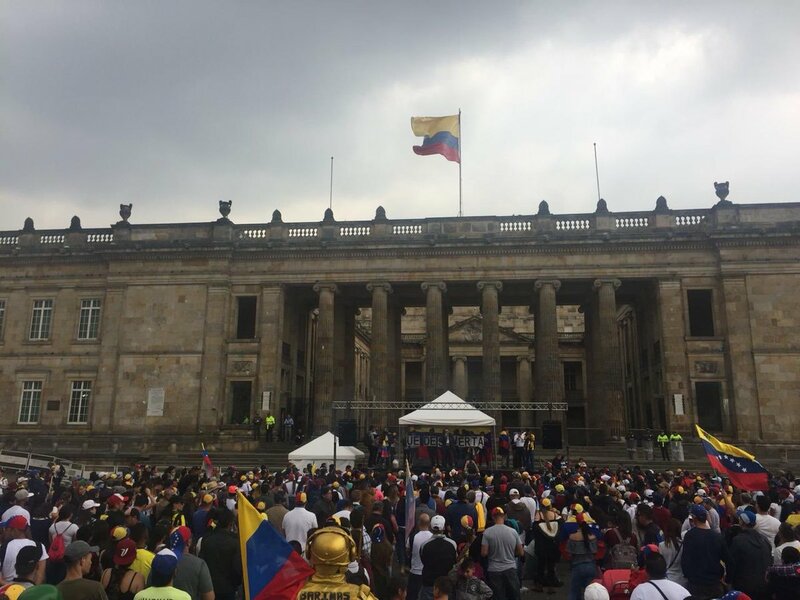 [email protected] arrives at the opposition mobilization in Valencia. 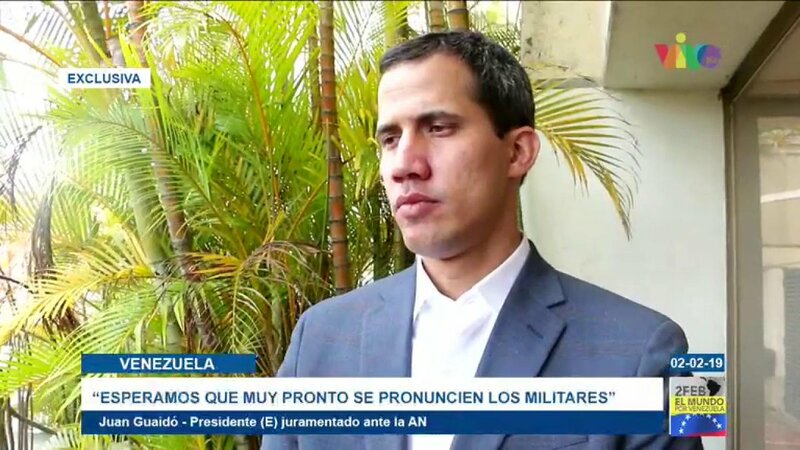 President Juan Guaidó (@jguaido): "My brother Juan Requesens is kidnapped, we will soon release him." 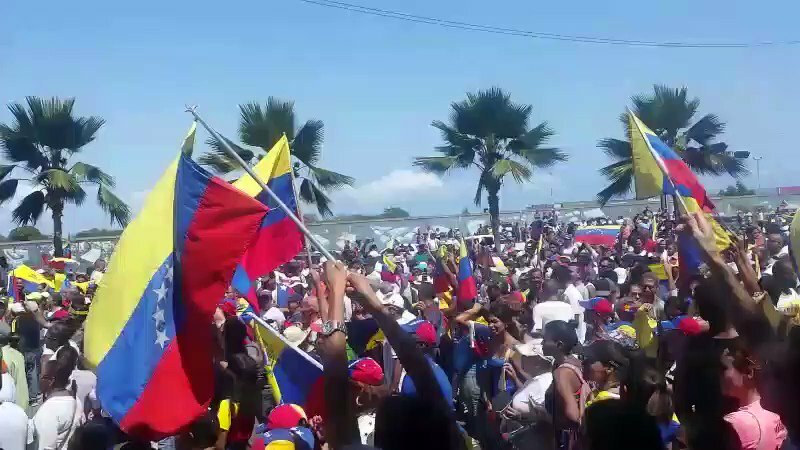 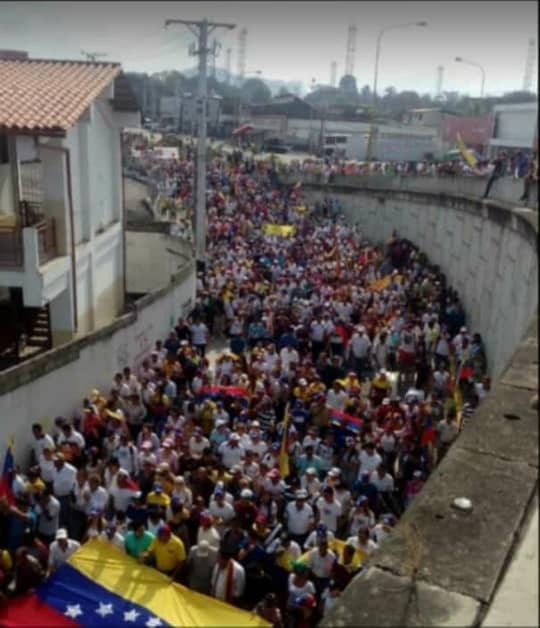 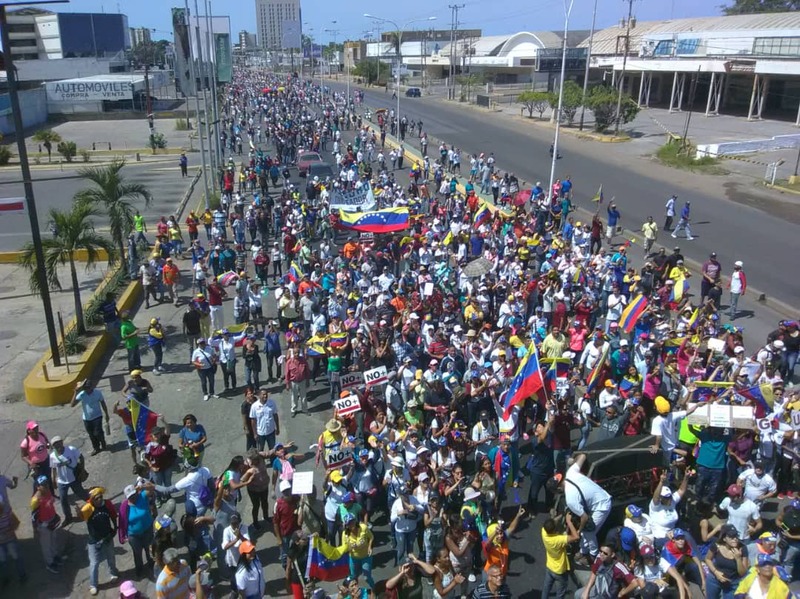 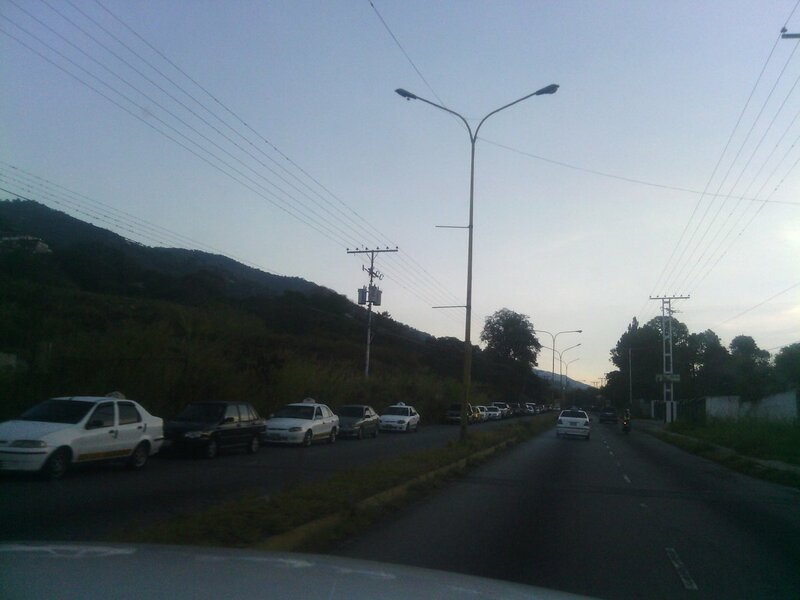 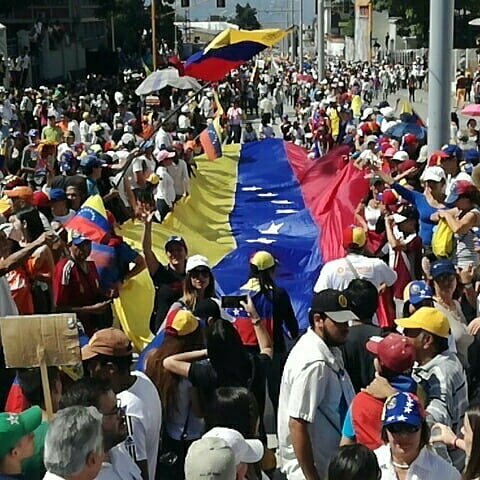 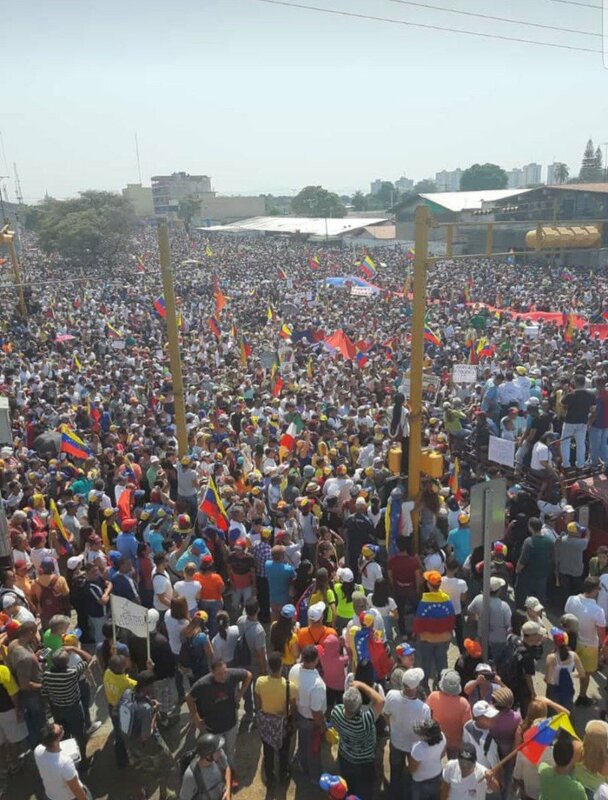 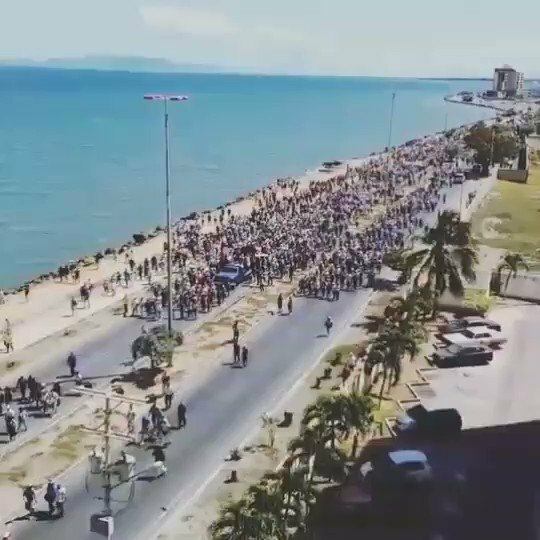 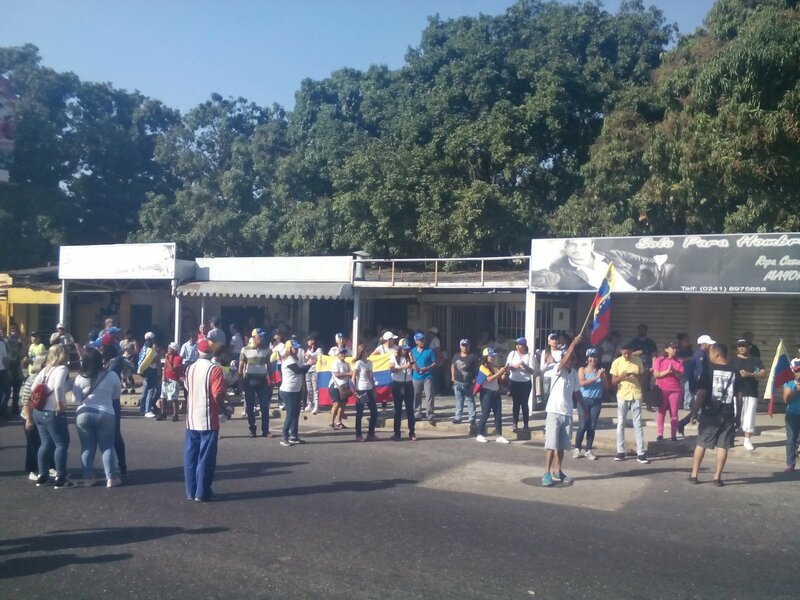 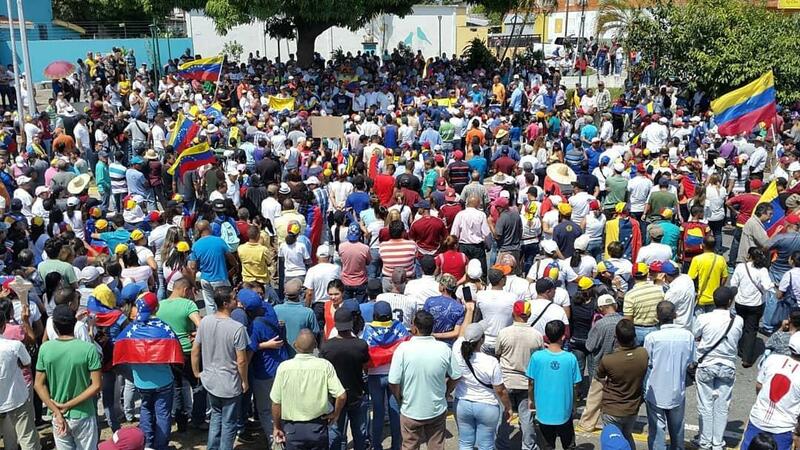 Anti-Maduro protests in Cumana, Sucre, Venezuela. 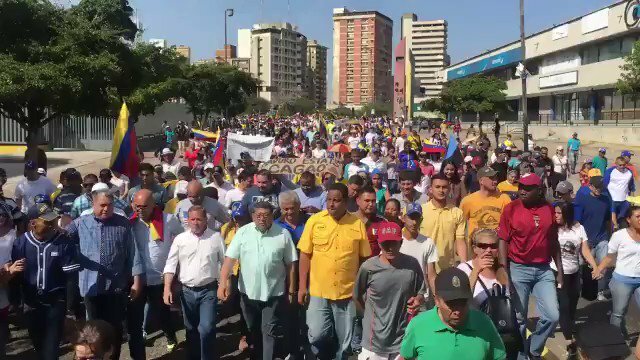 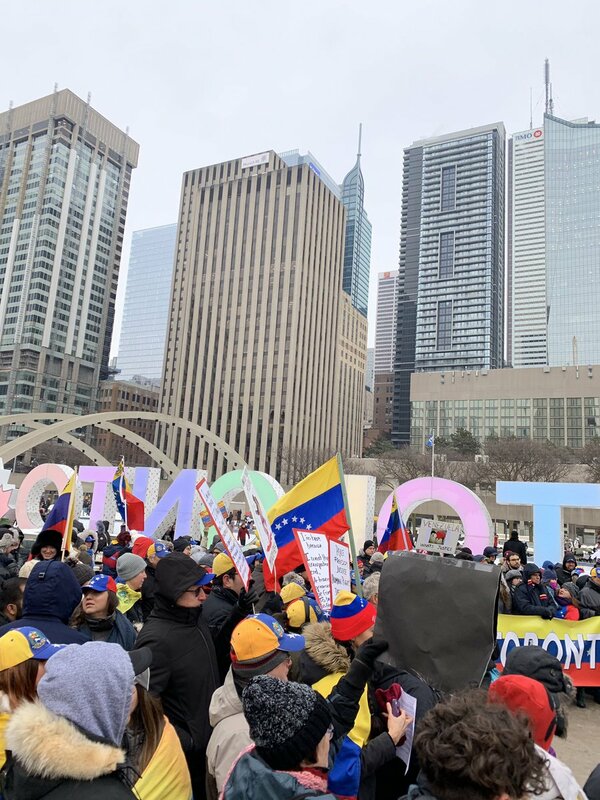 Previously this city was overwhelmingly pro-government, it is interesting to see how they have taken the streets today. 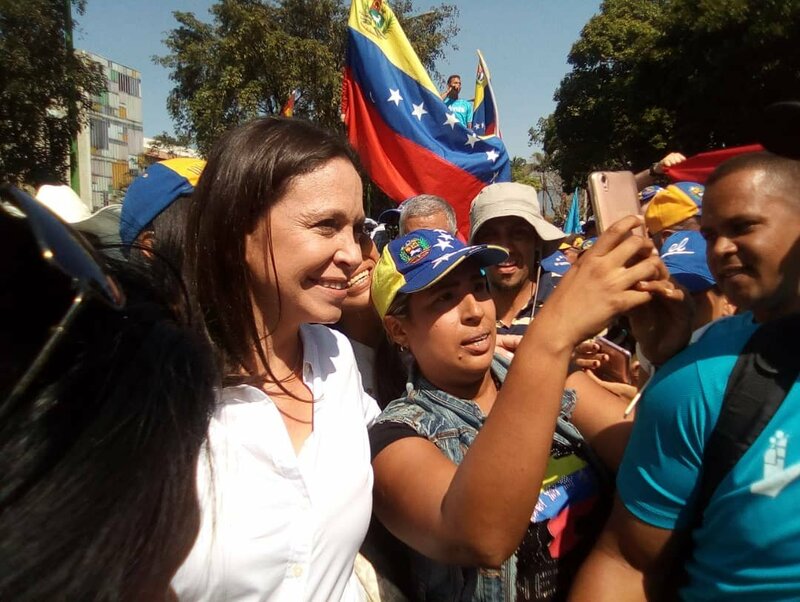 @MariaCorinaYA accompanies mobilization in the Redoma de Guaparo, Valencia. 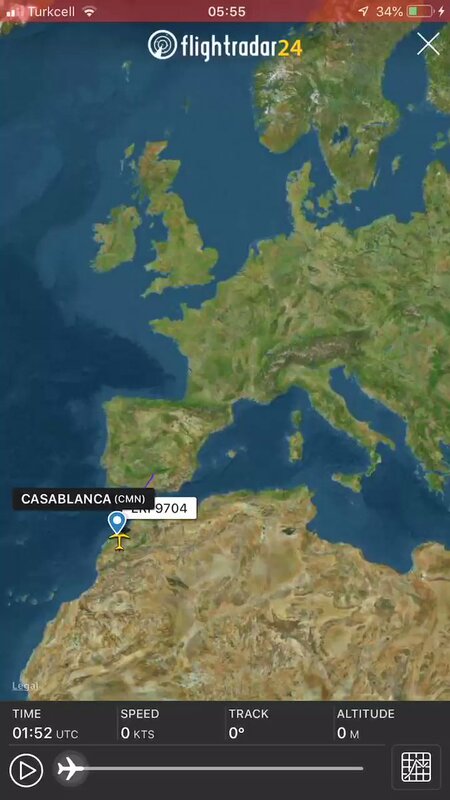 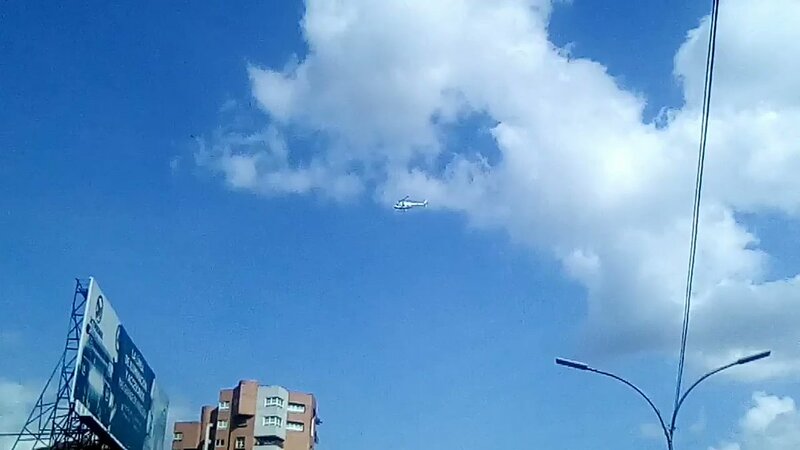 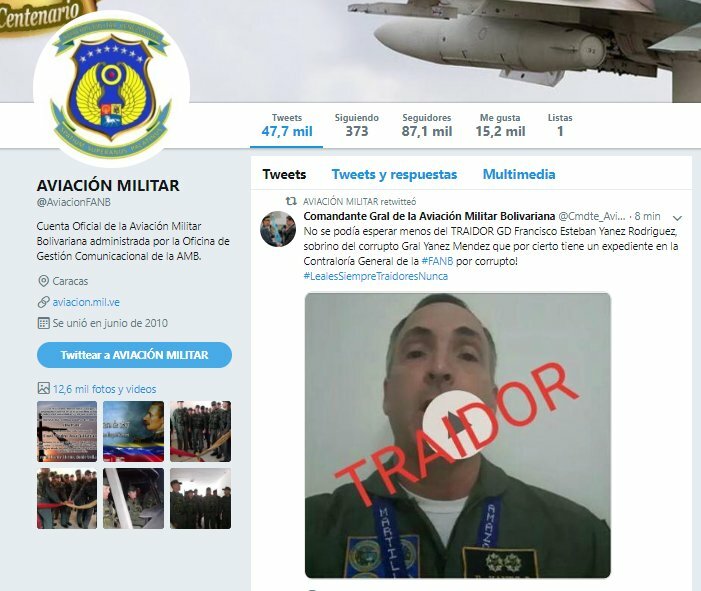 Already in the Twitter account of the Military Aviation, General Francisco Estéban Yánez Rodríguez, Director of Strategic Planning of the Aviation High Command, after "recognizing @jguaido as President and calling his companions not to repress," is described as "traitor"
General Francisco Estéban Yánez Rodríguez, Director of Strategic Planning of the Military High Command of Aviation: "90% of the Armed Forces are not with the dictator, they are with the people of Venezuela. " 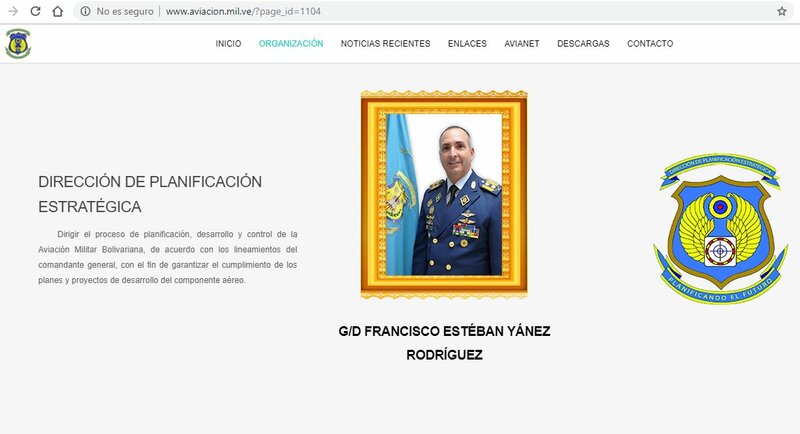 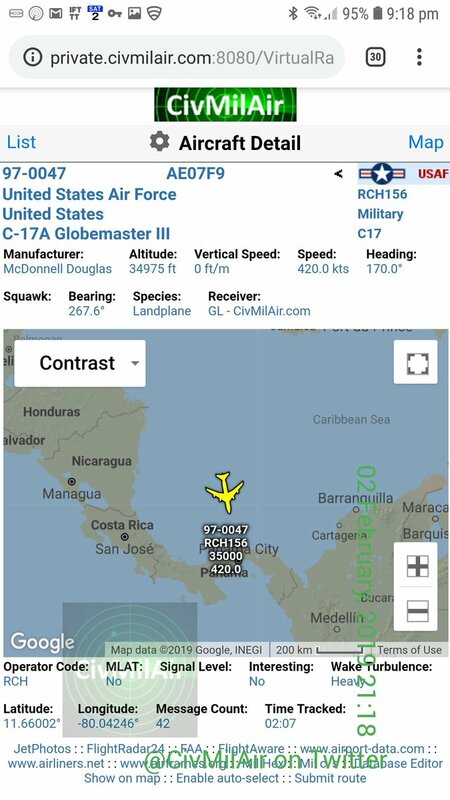 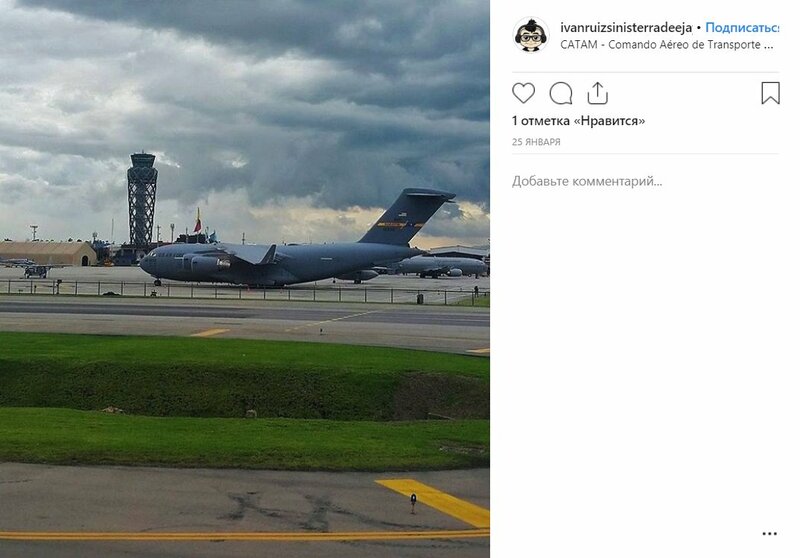 On the website of the Bolivarian Military Aviation it can be confirmed that Major General Francisco Estéban Yánez Rodríguez, who recognizes Juan Guaidó as President, is the current Director of Strategic Planning of the Military High Command of Aviation. 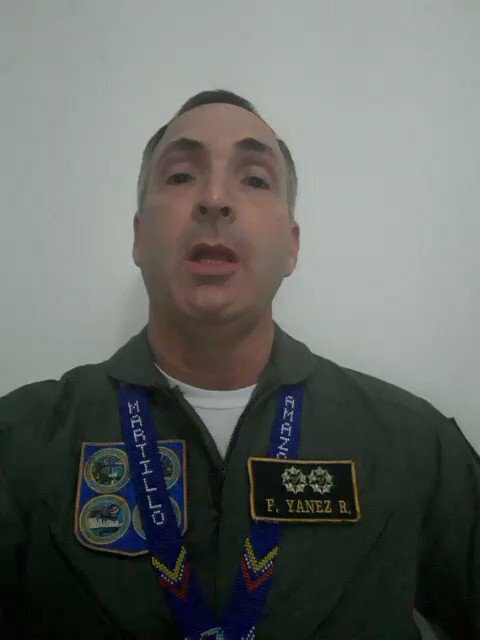 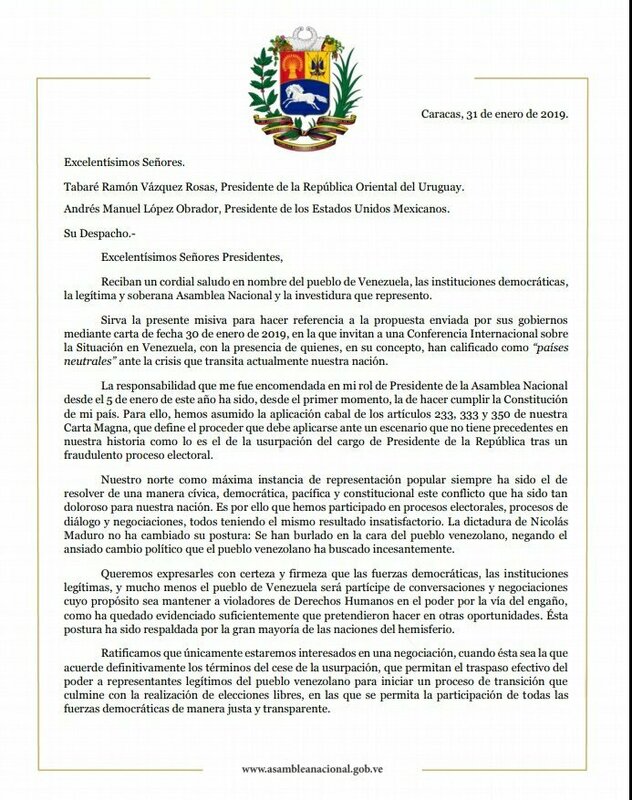 Major General Francisco Estéban Yánez Rodríguez, Director of Strategic Planning of the Military High Command of Aviation, recognizes Juan Guaidó as Acting President of Venezuela. 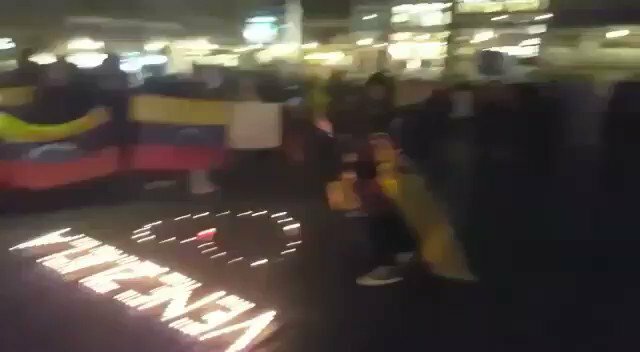 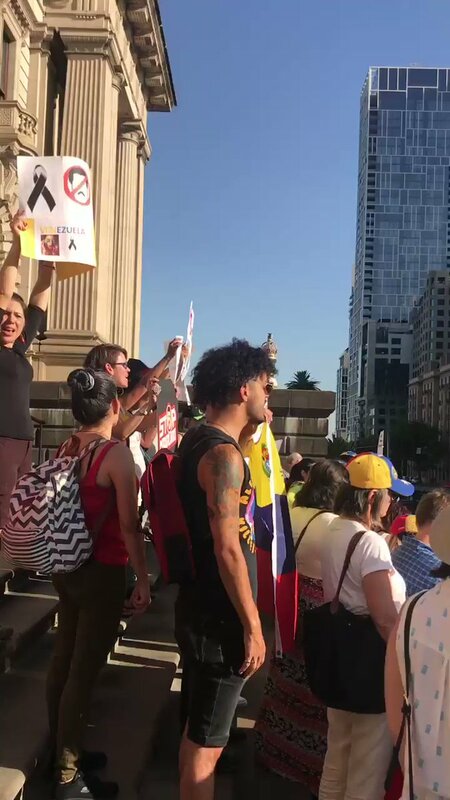 Venezuelans in Barcelona, Spain, express their support for the acting president @jguaido. 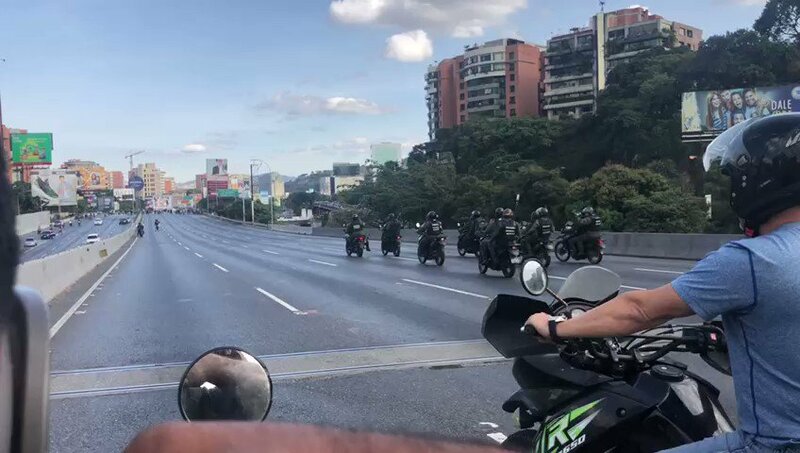 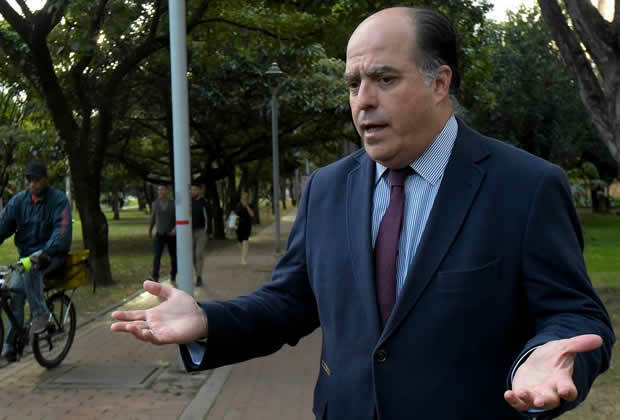 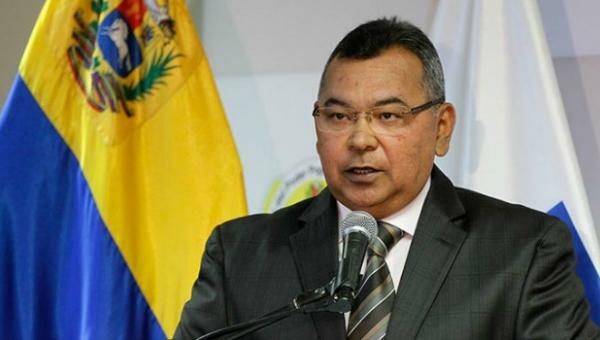 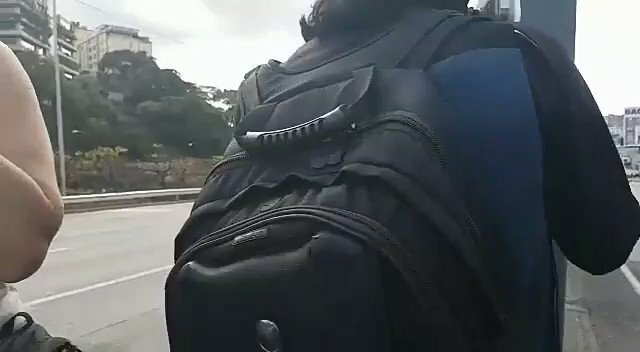 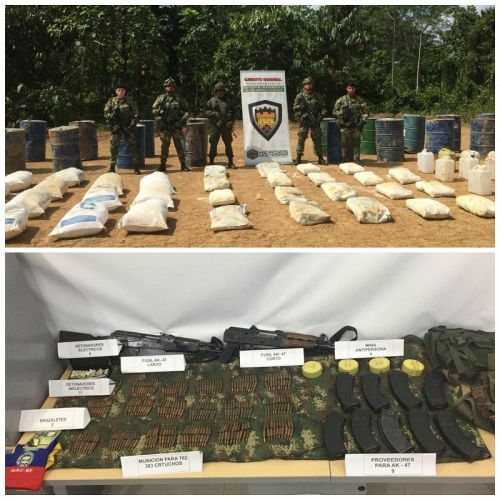 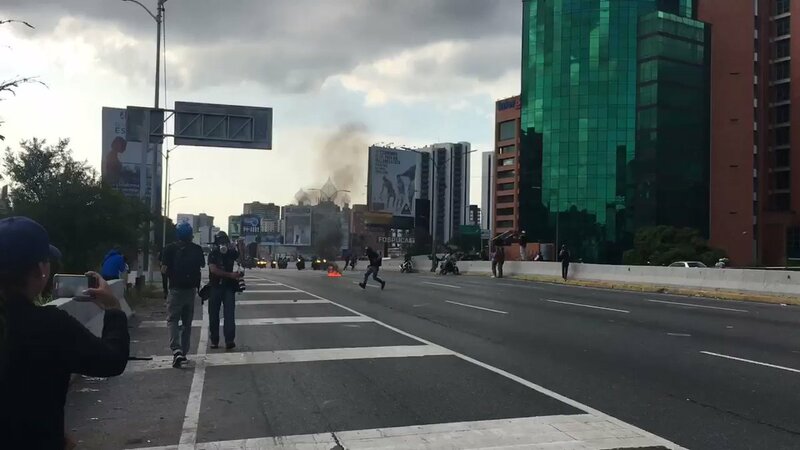 Vice President of Brazil: "I think the military will leave Maduro at some point,"
Colombia Venezuela Border: This was recorded by inhabitants of the La Parada sector, a strong shootout between gangs near the Simón Bolívar international bridge. 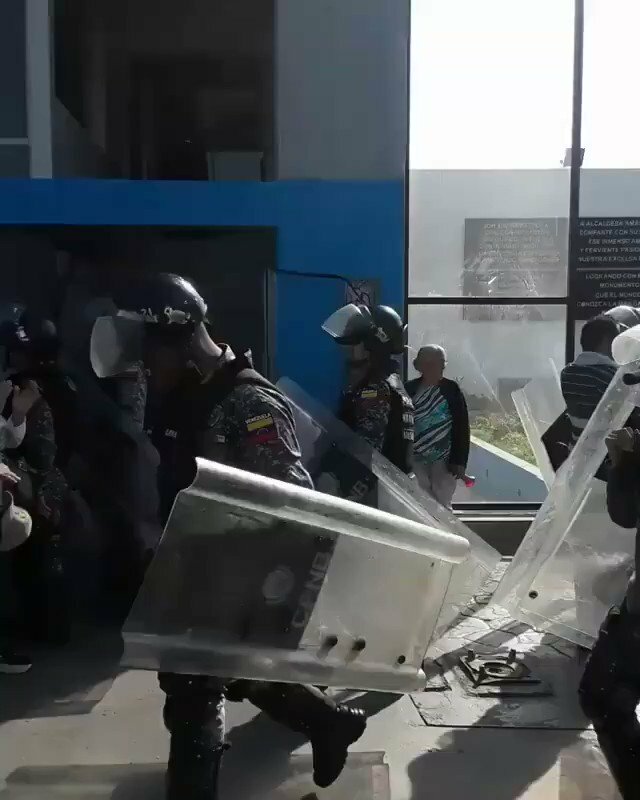 Witnesses ran to their homes, situation was controlled. 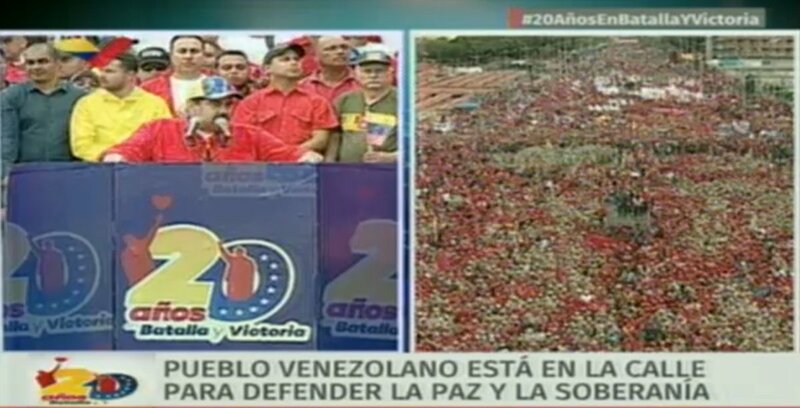 "Venezuela deserves to be free, Nicaragua also deserves to be free, and this administration will always say 'Viva Cuba libre. 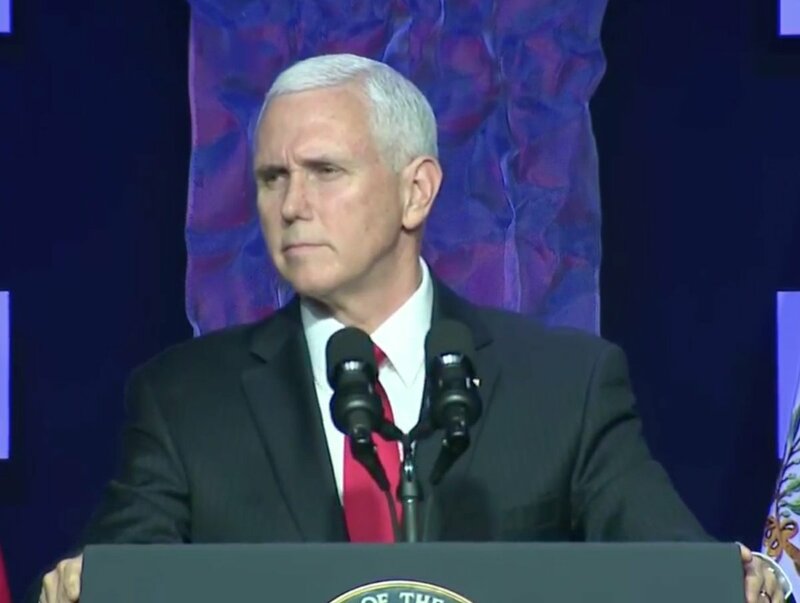 ', Says @VP Mike Pence. 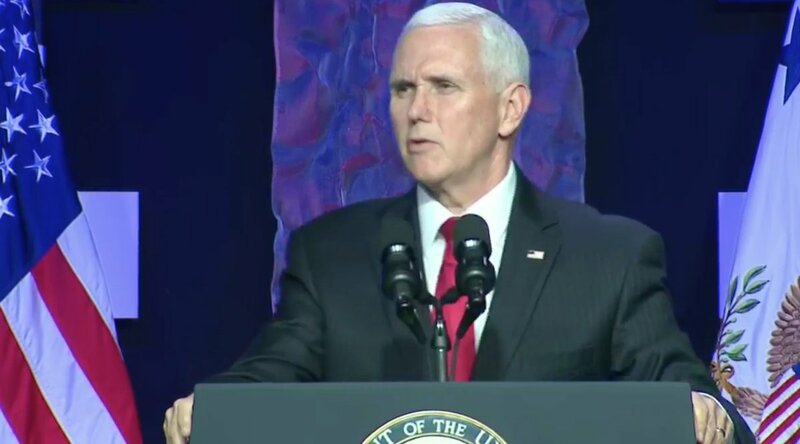 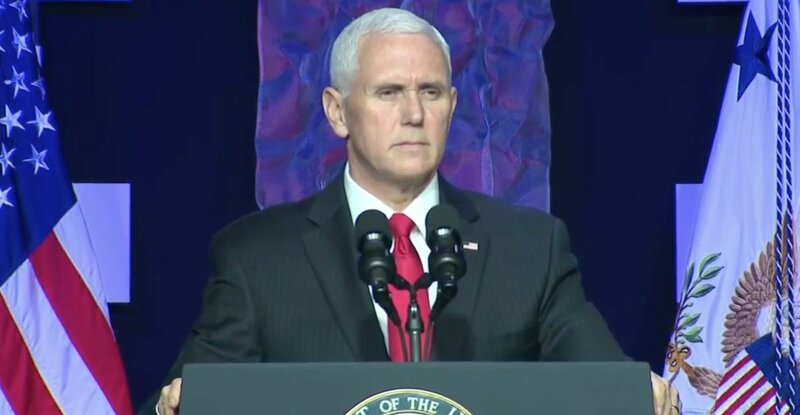 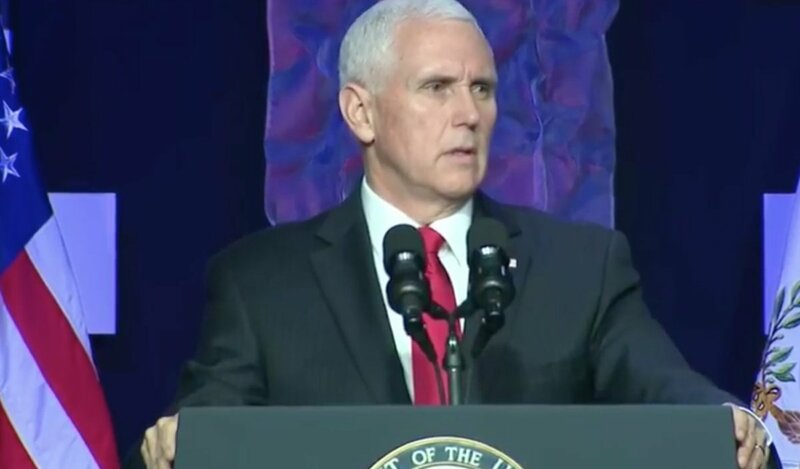 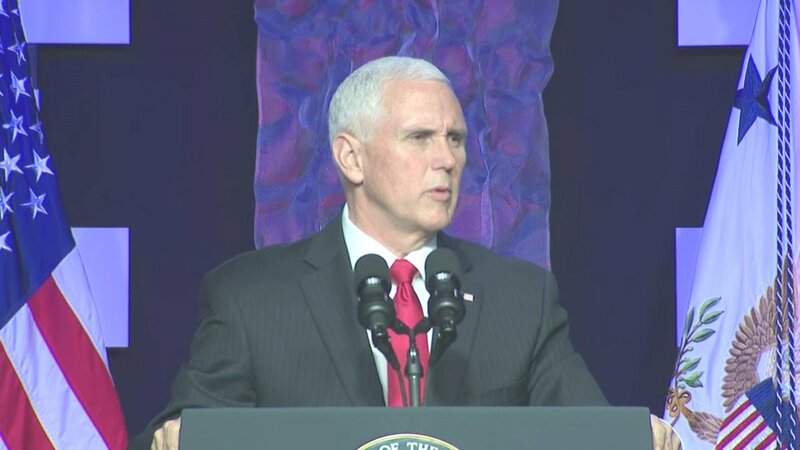 "Maduro is a dictator without any legitimacy, so Maduro must leave," says @VP Pence. 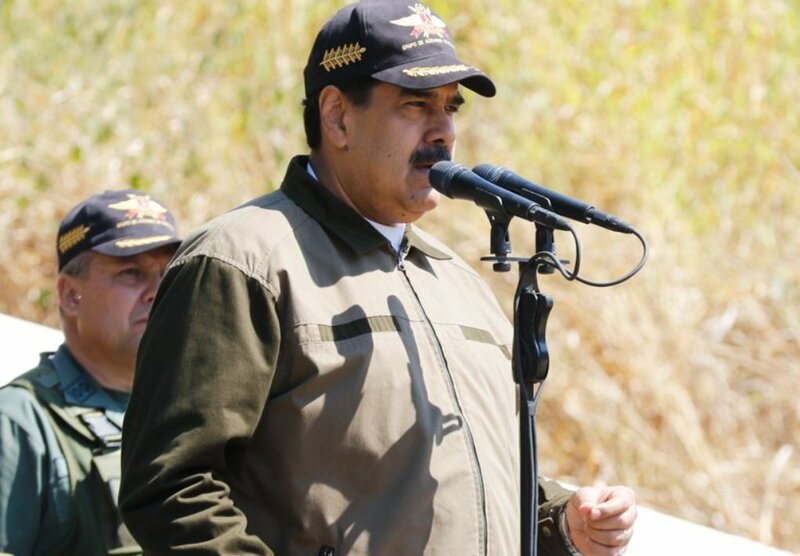 John Bolton, Donald Trump's security adviser, warned Venezuelan President Maduro on Friday that he could end up in "Guantanamo."